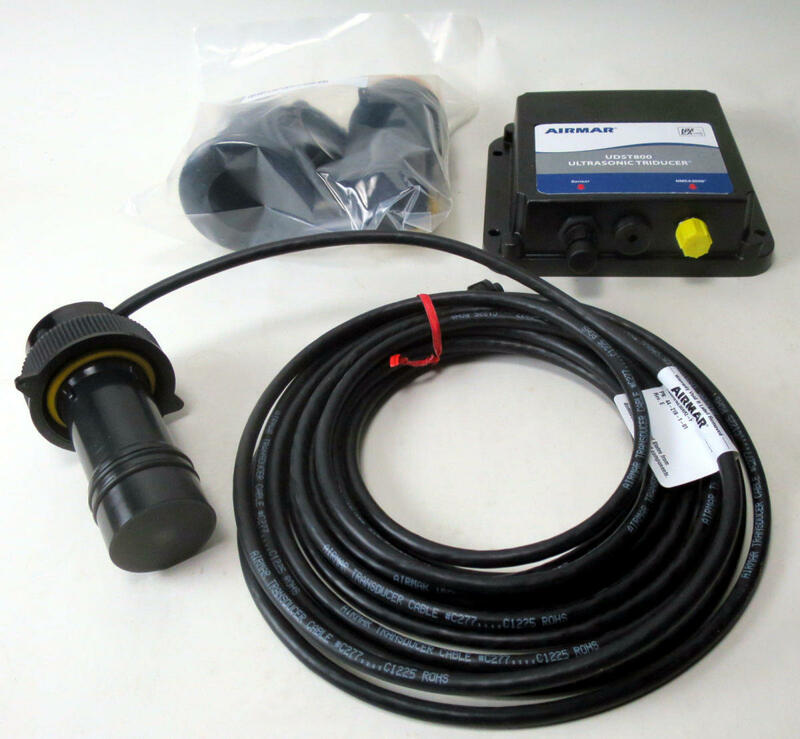 In Oct. 2009 Dan Corcoran&apos;s great review of the Airmar CS4500 Ultrasonic speedo kicked off a discussion about how the high value of accurate STW (sometimes just called Speed, but definitely different from the Speed over Ground delivered by GPS). 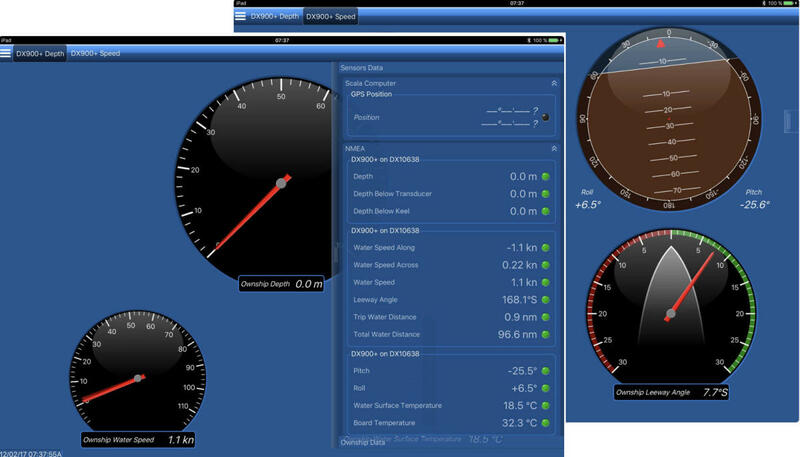 Sailors crave it for precise calculation of True Wind relative to water, but so do power cruisers for better miles-per-gallon fuel calculations. Accurate STW is also key to meaningful set and drift calculations. 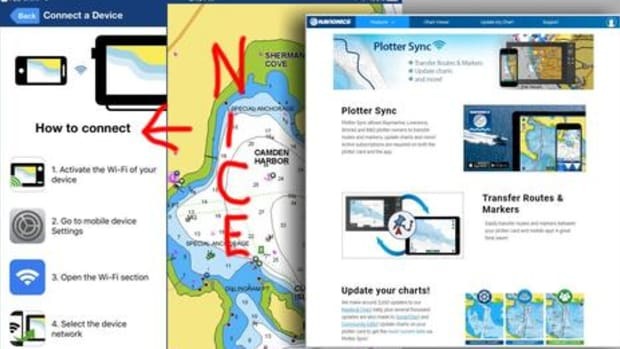 There&apos;s also talk in an old entry about how much better the ultrasonic technology would be as a "smart" transducer able to send data directly to NMEA 2000 networks (or to NMEA 0183). And one Panbo commenter came up with a still-live link to the Airmar DST900-EM -- "Available Q3 2009" -- while another pasted in an Airmar tech support note about an ultrasonic NMEA 2000 triducer about to come out as the DST900-CL (and those revelations led to a discussion about how electromagnetic speed sensing might compare to ultrasonic). I do not know why Airmar made several false starts in this area -- there&apos;s no upside I can think of -- but I can theorize. 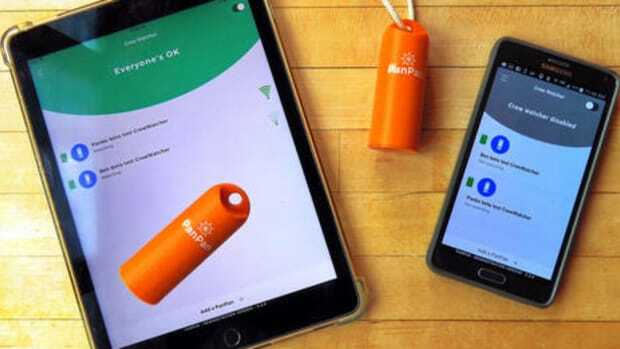 As mentioned in my Part 1 entry about Airmar&apos;s certified installer program, the company mostly works with OEM&apos;s, not retail customers, and maybe trial balloons are more normal in that environment. It&apos;s also an engineer-run company, so maybe testing trumped marketing. 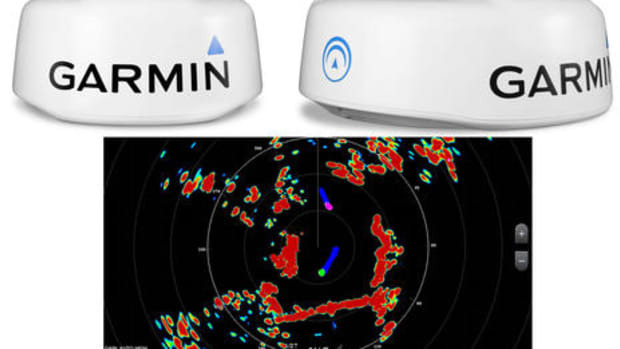 Perhaps, above all, the market for premium speed sensors is small, while Airmar has been relentlessly pushing out into other markets while also driving the CHIRP fishfinder revolution. 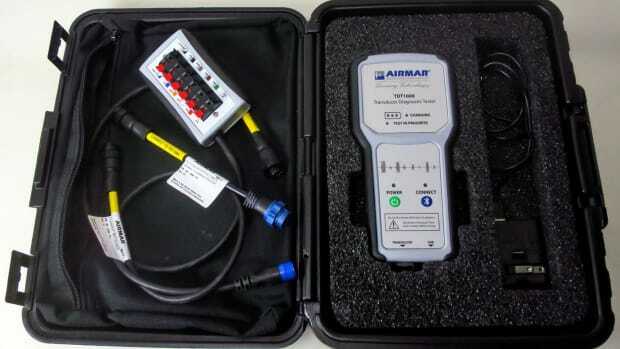 First, let&apos;s consider the Airmar DX900+ MultiLog that seems related to the DX900-EM of 2009, but with the intriguing added abilities of measuring leeway and connecting via Bluetooth to apps (in addition to N2K or 0183 cabled connections). 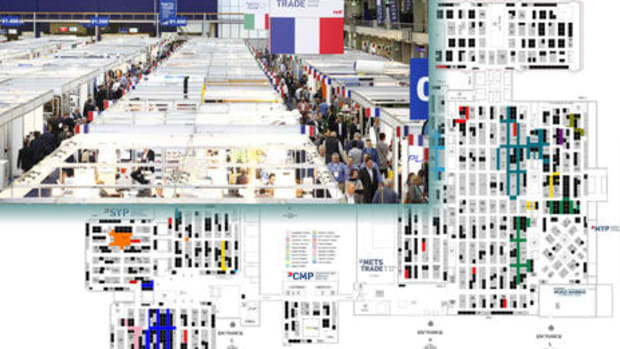 Kees broke the story at METS 2016, and I was part of the SAIL team to award it a Pittman. 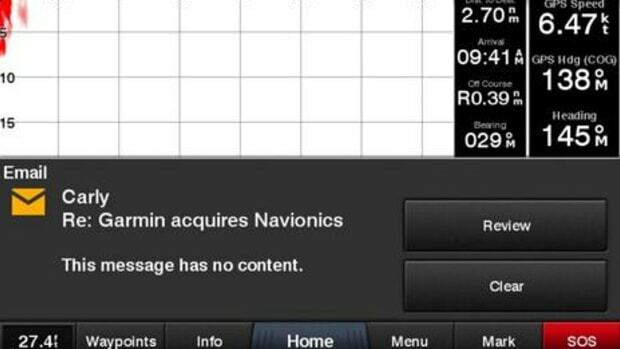 Given the possibly embarrassing history, I was a little surprised that the DX900+ took a while to ship, but it is now available at outlets like iMarine(and the slick looking iOS AirmarCAST app above is available for download). 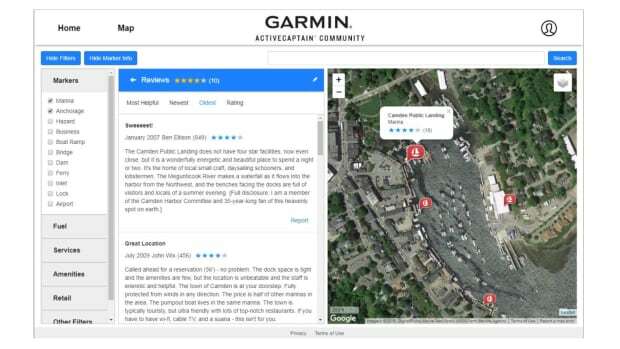 In fact, occasional Panbo contributor Jeremy Anwyl bought one last summer for his latest vessel -- a mighty Nordhavn 76 -- and I was hoping to host a dual review with Kees reporting on his DX900+ beta testing experience aboard the awesome sloop Merrimac. Unfortunately, neither Jeremy nor Kees have reliably working DX900+ sensors yet. 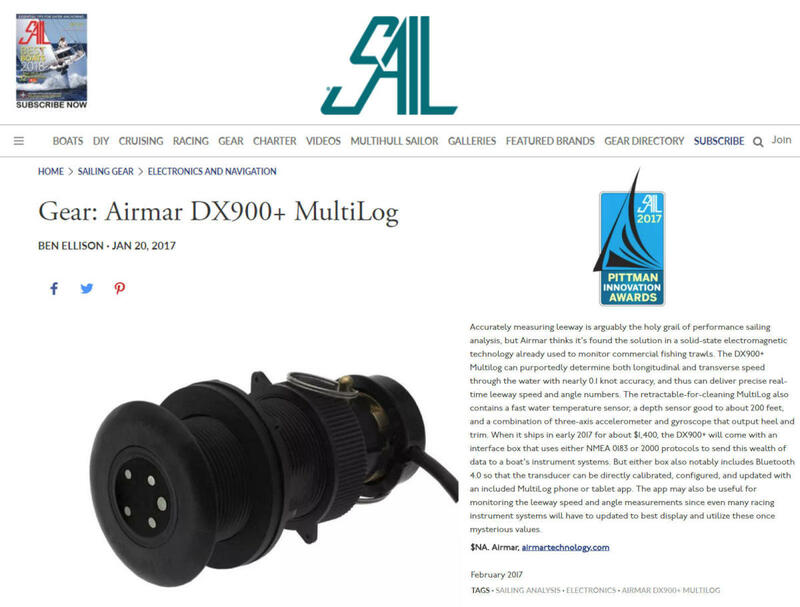 It&apos;s not worth getting deep into the details here as both cases are still being investigated by Airmar tech support, but it may be that EM is best suited to simple 12v electronic systems, or maybe that the NMEA 0183 option is preferable because then the power supply can be kept especially clean. Also, Airmar tells me that numerous DX900+ are out in the field without reported problems, so here&apos;s hoping an owner of this highly innovative sensor will report in about actual results. And that Jeremy and/or Kees will be able to report on working EM sensors soon. 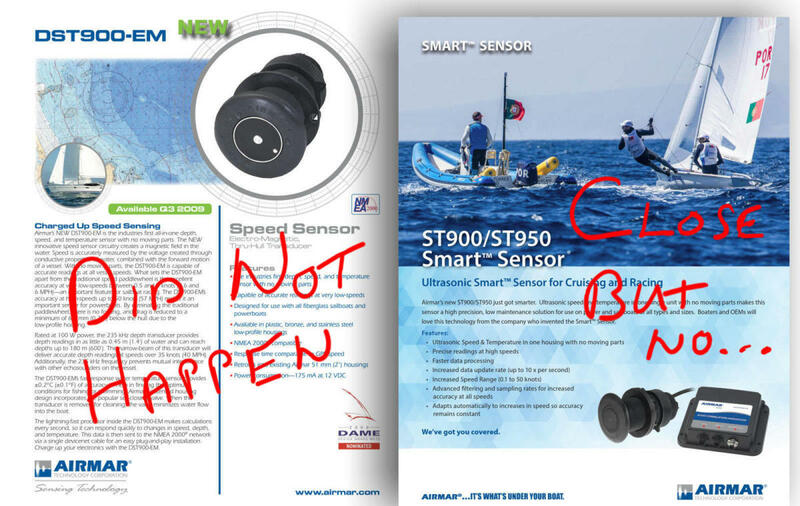 So the ST900/950 ultrasonic speed sensor Kees also reported on at METS 2016 got my "Close but...no cigar" markup mockery because it didn&apos;t actually ship until after Airmar decided that UST800 Smart Sensor and UST850 Smart Sensor titles made more sense. 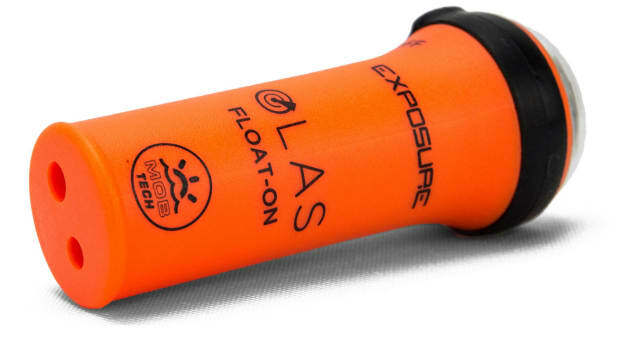 I agree that UST800 is a good designation for the ultrasonic version of the ST800, but the best news is that the two UST sensors -- the only difference is which standard Airmar casings they fit -- are really available. The online prices starting at $918 are not trivial -- Airmar does not list retail pricing -- but consider this performance graph. 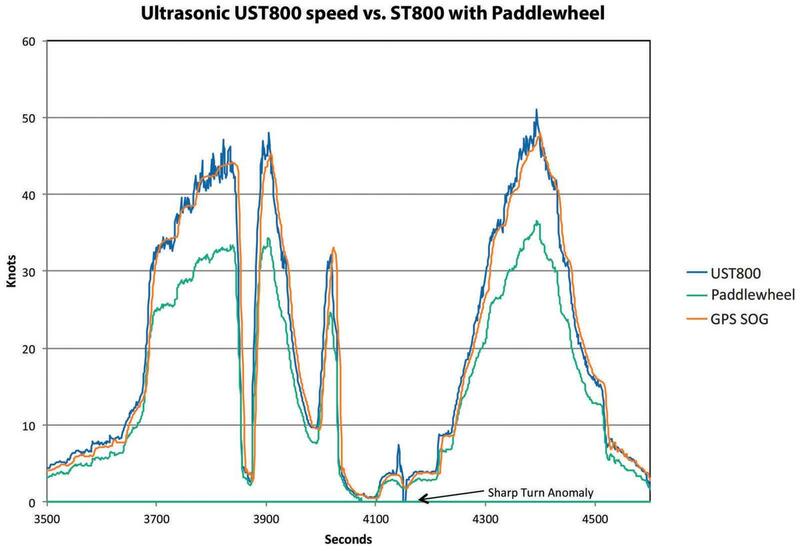 If I understand this graph correctly it shows a boat alternately accelerating and decelerating over about 18 minutes while speed is measured by paddlewheel, ultrasonic, and GPS. The paddlewheel fails quite badly over about 35 knots, but if you click the graph bigger and look closely, you&apos;ll see that the paddlewheel isn&apos;t doing very well at low speeds either. 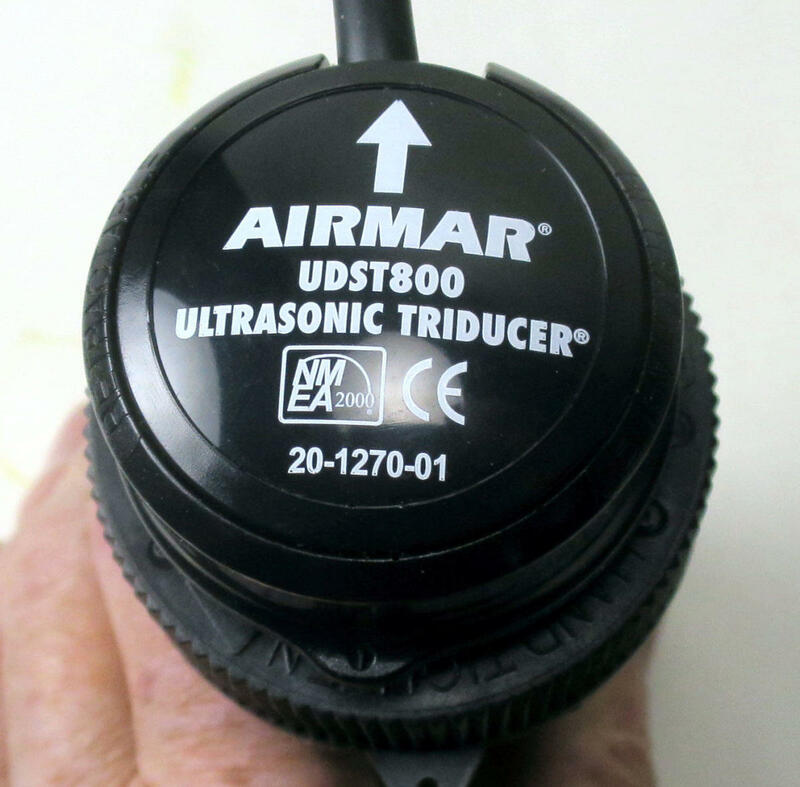 The UDST800 ultrasonic triducer was also announced early this week -- press release PDF here -- and though it&apos;s not yet listed at Airmar, here is the combined UDST/UST install guide PDF. 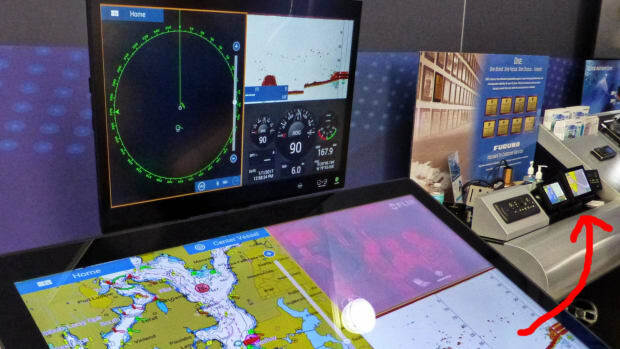 It will be awhile before I actually get to see UDST underway performance in Gizmo, but you can see on the Simrad NSS evo2 screens below that it&apos;s real and ready to go.